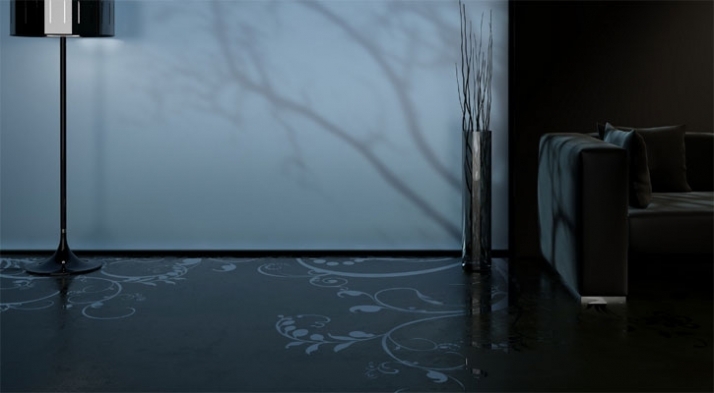 Transparent house Team presents its vision of the classic flooring material- concrete. 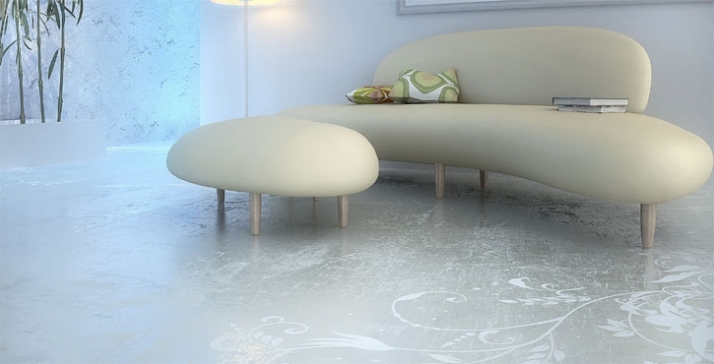 They’ve created a way to refine a popular element of contemporary interior design such as polished concrete flooring. 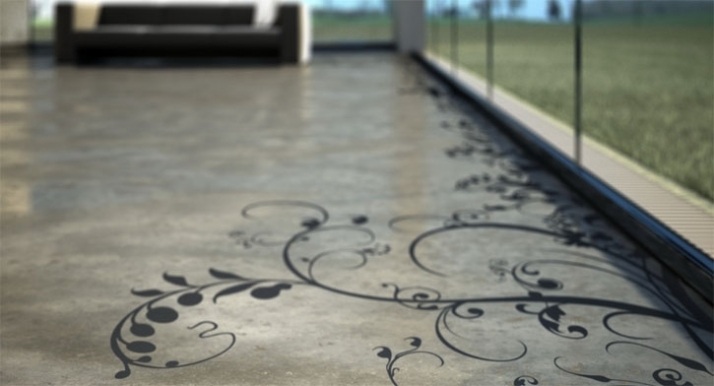 The design concept allows for application of any pattern to the surface either when pouring or afterwards when the concrete has set. 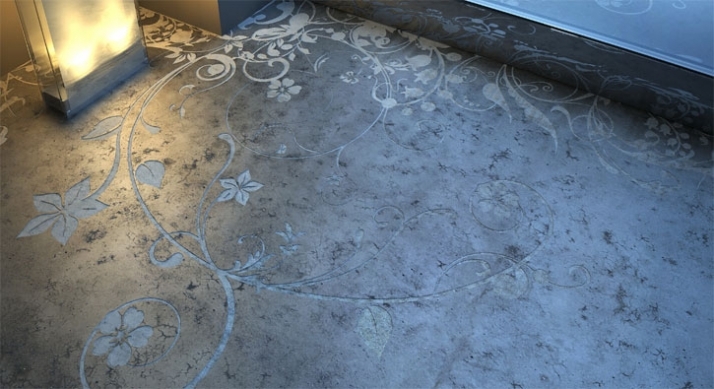 The fine floral ornament promotes the clean and simple character of the space while adding a touch of warm and live contrast and highlighting the cold austerity of the material.